Steve intended to use the car as a weekend cruiser, but that idea was short-lived. 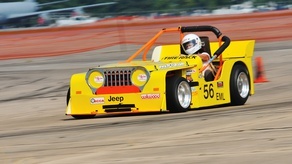 He soon left the sidelines and started taking it to local autocross events. The magnetic draw of fun pulled him closer: After visiting the race tracks from his high school crewing days some 30 years earlier, he signed up with NASA and enrolled in their High Performance Driving Education program. Steve eventually earned a rookie road racing license and got more serious about the hobby. Despite making numerous upgrades to the car, including installing a roll cage, Steve felt that he had outgrown the Roadster. 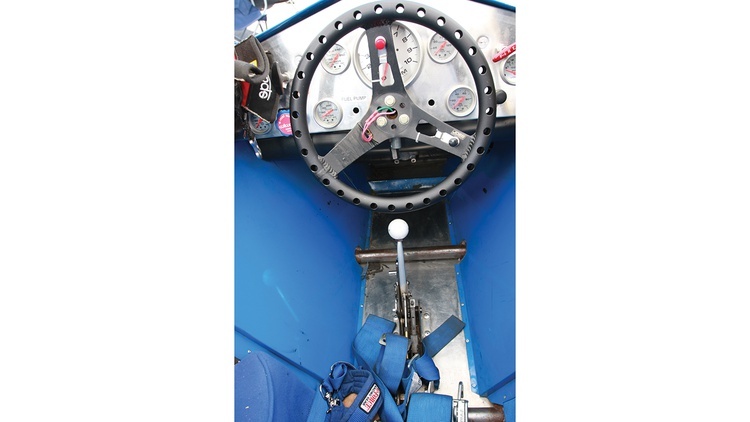 He found himself at a crossroads: He could dump a few thousand dollars into the car and make it really suitable for wheel-to-wheel competition, or spend a little more and build something—his dreams—from scratch. You guessed it, Steve chose door number two. He sold the Factory Five and started to build his own race car in 2007. This time, he could follow his imagination, unhindered by the visions of others—no kit, no instruction sheet. He was on his own. The wide-open possibilities didn’t dampen his aspirations the slightest bit. He chose his tools carefully, spending where it was important and cutting costs where he could. Building a race car is no light task. This isn’t a beginner’s activity or for the faint of heart. Steve didn’t take the easy way to the track with this project, as he hand-crafted his vehicle from the ground up. The kicker: He had never designed a car before. 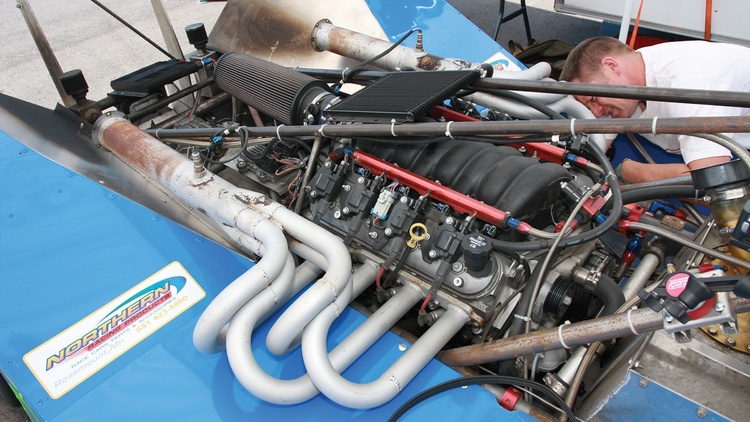 The project quickly became part of him—an addiction: Only seven months passed between the initial design stage and the car’s track debut. Although he never got the chance to see the historic Can-Am cars in action, Steve had always admired them from afar through photos and stories. The no-rules logic of the series appealed to him and became the basis for his own build. Those Limited Sprint and Late Model cars from his past had given him little room to think outside the box and experiment with his ideas. This one would be different. 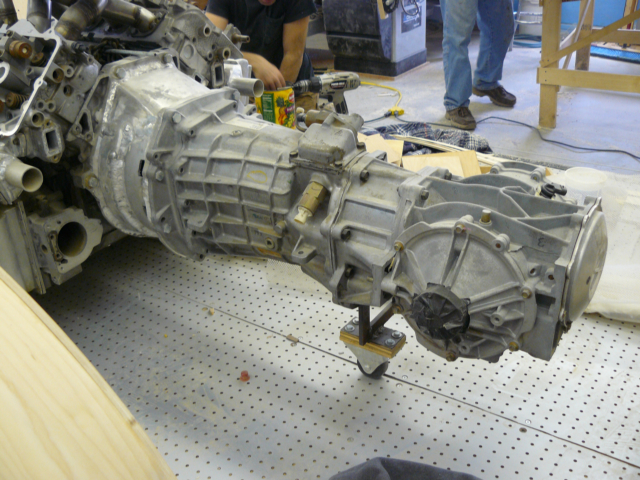 The drivetrain components came directly from the General Motors warehouse, as Steve started with a Corvette LS2 engine and matching automatic transmission. An automatic transmission in a race car? This not-so-slushy slushbox—the six-speed 6L80E—has the flexibility to provide manual transmission-like engine braking and instant gear command via buttons mounted on the steering wheel. Steve preferred that option over the alternative: tuning the yards of shift linkage needed to work a manual box. The suspension’s nonnegotiable starting points were derived from C6 Corvette technology. Steve started with the spindles and entered their measurements in the Performance Trends suspension design program. This software allowed him to build his suspension setup on screen and test its effectiveness throughout acceleration, braking, turning and elevation changes. He then selected the appropriate parts as well as their chassis pickup points, avoiding a costly real-life trial-and-error process. Since suspension design has so many variables, Steve found this software invaluable. Once the plans were complete, it was time to start cutting and welding. After that, he focused on the body, sticking with the Can-Am influence. 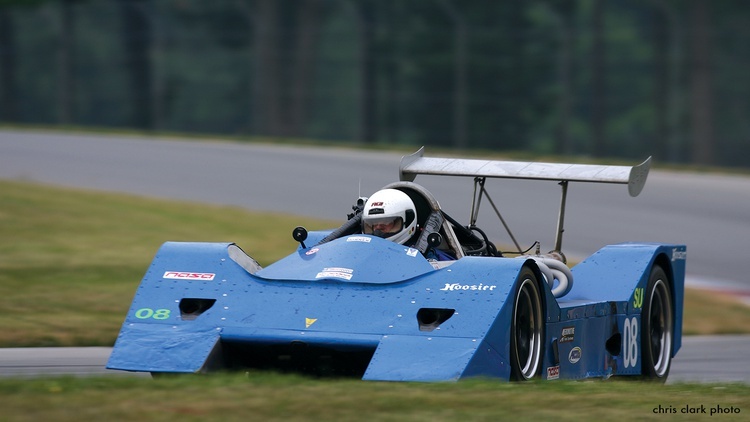 Shortcuts are not the norm for Steve, but his dream of building a carbon fiber shell had to be dismissed due to time—he was starting to get withdrawal symptoms from spending too many weekends away from the track. He settled for an aluminum sheet metal body. Bending big pieces of aluminum requires specialized tools, but Steve found an inexpensive solution: a sheet metal brake intended for residential home siding. The tool’s open ends were perfectly suited for the large body parts. A finger brake also came in handy, as the adjustable-length dies provided the flexibility needed for the small stuff. Steve’s experience with Late Model dirt cars helped him get through these steps without any major speed bumps. The final step was a coat of Chevron Blue paint and some manufacturer stickers. The appropriately named Corv-Am was ready to hit the track. 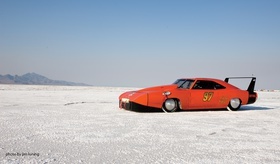 Seven months after the build began, Steve’s car was on track. NASA placed the creation in their Super Unlimited class, a catchall for machines that don’t fit anywhere else. Participating cars simply need to have covered wheels and meet the organization’s safety requirements. After more than a dozen outings, Steven and the Corv-Am found a regular home on the bottom tier of the podium. Surely there are worse fates, but Steve still hopes to improve. He spent last season watching the cars that kept bettering him. Their advantage seemed simple: a stronger power-to-weight ratio. Plans for the near future include more power plus some suspension adjustments to improve the car’s anti-dive. Improved shock absorber valving is also in the cards. Front and center in Steve’s life, however, is his new business endeavor—another step back toward the side of responsibility. While the remodeling business takes care of Steve’s bills, his desire to be in the racing scene won’t go away. He’s determined to have a career that incorporates that part of his life. This Can-Am-style racer, conveniently equipped with an automatic transmission, makes an extremely good car for the novice, he reckons. Why not build some more? Steve’s latest business, appropriately called Arrive and Drive Racing, plans on offering the Corv-Am to those who want to dip their toes into motorsports. Perhaps Steve’s years spent as a dull, responsible boy are paying off on the racing front.